Tagaytay will always be one of our favorite destinations. When we want a quick and convenient respite from the heat, noise and frenzy of Metro Manila, Tagaytay easily comes to mind. 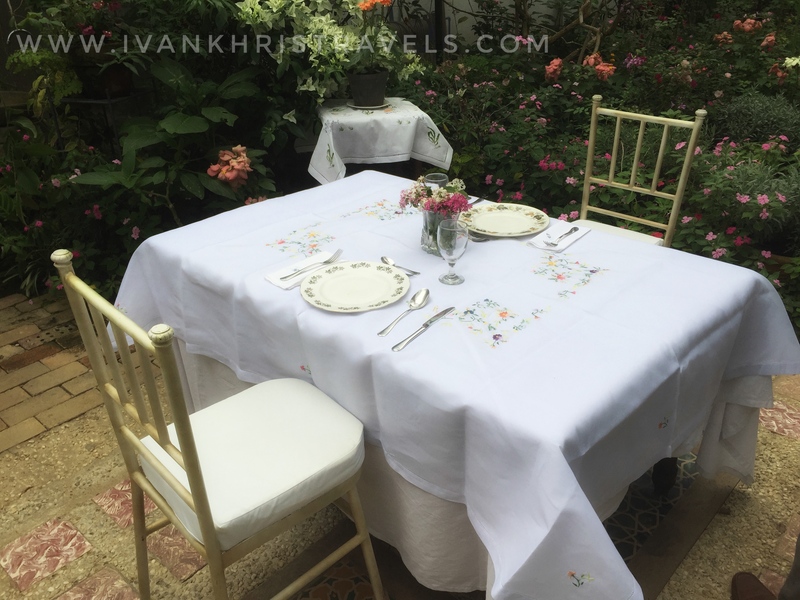 We have been to several well-known spots in Tagaytay but it has only been recently when we had the chance to visit Sonya's Garden. 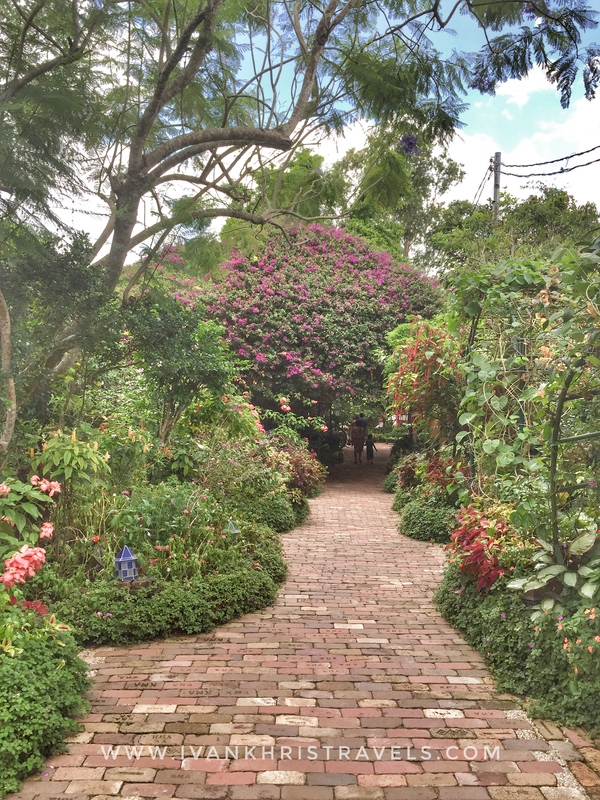 It was a sprawling estate filled with trees and a multitude of flowering plants, spreading splashes of color all over the place. We were awestruck by the quaint beauty of the surroundings. 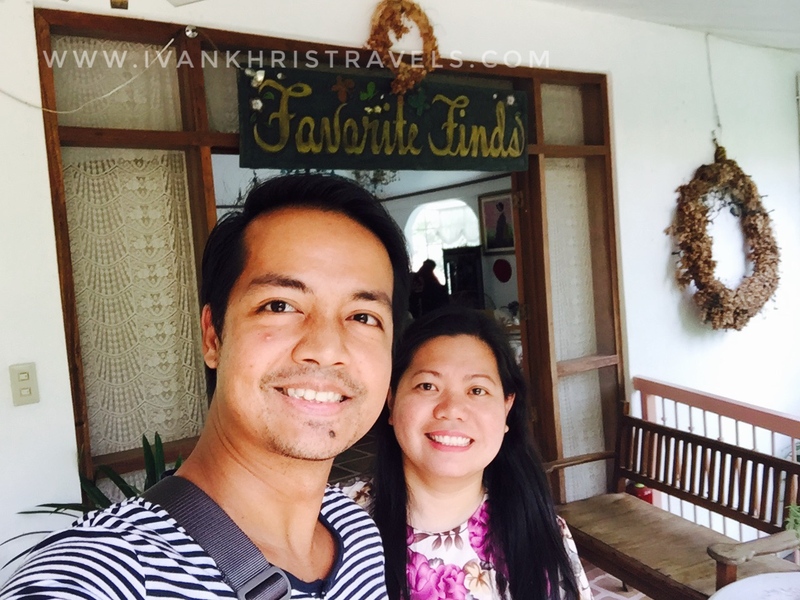 It was a spot that we can always easily recommend to those who are visiting Tagaytay. Sonya's Garden is open to the public. 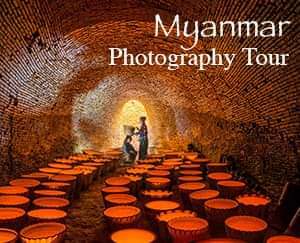 You can enjoy the beautiful sights inside this place without having to shell out a single centavo. This alone is good enough reason to drop by Sonya's Garden. As you tour the place, keep your eyes peeled for Sonya's Garden's adorable golden retriever who is always ready to greet guests. There's nothing more therapeutic than to walk on stone pavements lined with thick greenery and flowers of different hues in full bloom. Add to that the cool Tagaytay weather and you will definitely feel serene. 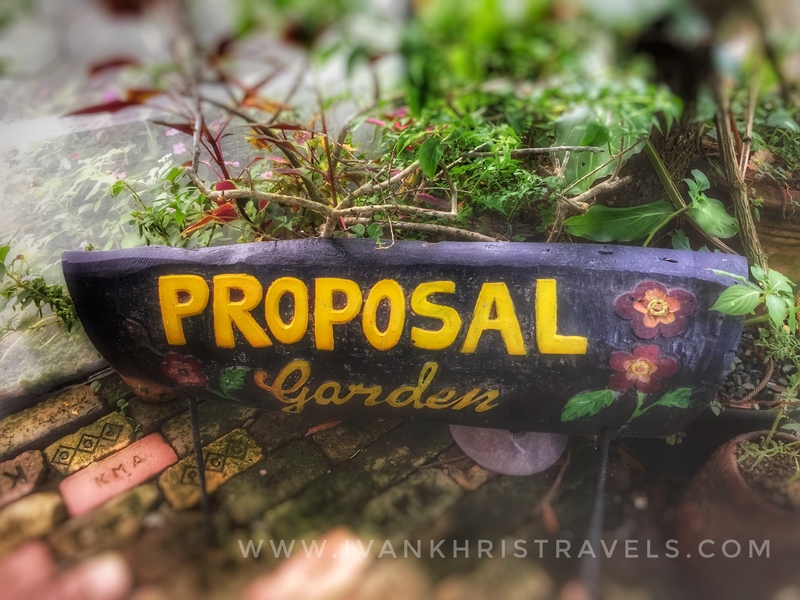 There is also a Proposal Garden where a table for two is set-up in the midst of more plants and flowers. 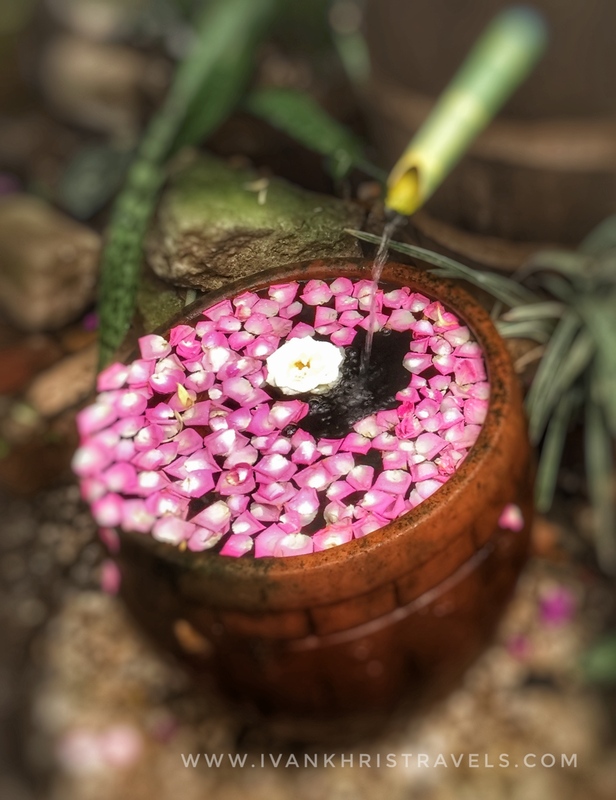 A zen fountain is located nearby, providing a relaxing sound made by trickling water. 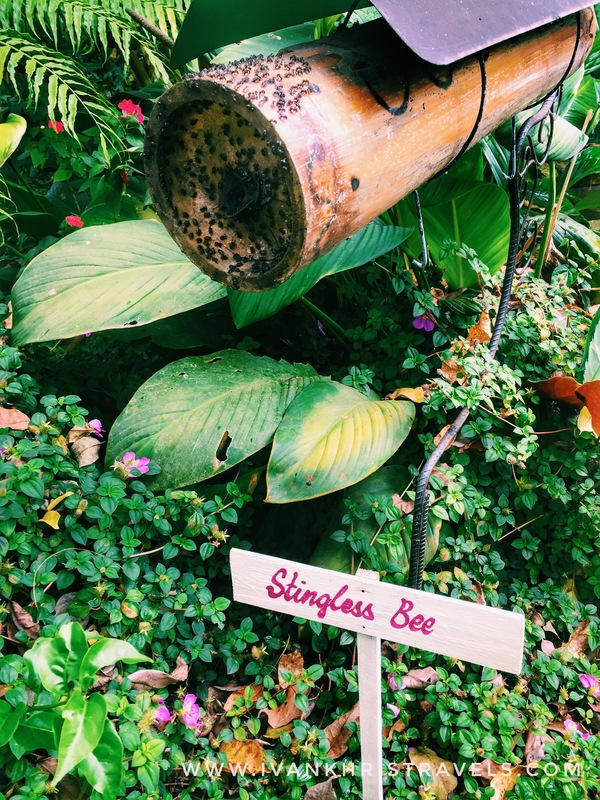 There are shops inside Sonya's Garden offering massage oils, emollients, soaps and lotions, just to name a few. These hypoallergenic products are made from natural ingredients. Mildly-scented yet invigorating, these products are perfect treats after a long and tiring day. The bakery is also a must-visit. Our particular favorite is the Spanish bread. It's soft pastry filled with a rich cheesy-buttery filling that is of the right sweetness. It's very unlike the usual Spanish bread sold in other bakeries. A cup of hot chocolate or coffee goes well with Sonya's Garden's Spanish bread. There are also bottles of honey, banana chips and turmeric tea that are for sale. Sonya's Garden espouses the farm-to-table concept. Ingredients for their dishes are organic and freshly-harvested from the Sonya's Secret Farm to ensure ingredients are of the best quality. One may expect to find salads and fresh fruits in season in the menu. Don't be surprised to find edible flowers in their salads. They add colors as well as flavor to the food. Fresh herbs are also sold here so if you love using these when you cook, you might want to buy several pots of aromatics at Sonya's Garden. If you are looking for hand-crafted pieces to accentuate your home, then take your pick from furniture produced by local artisans. 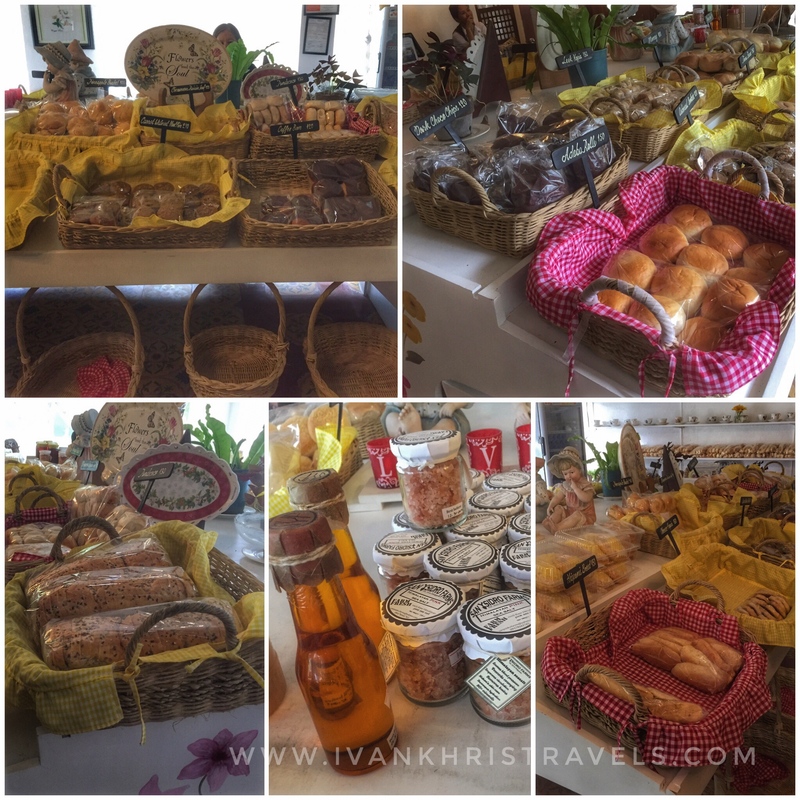 When you buy any of these pieces, you are, in a way, also giving livelihood to the local community of Tagaytay. 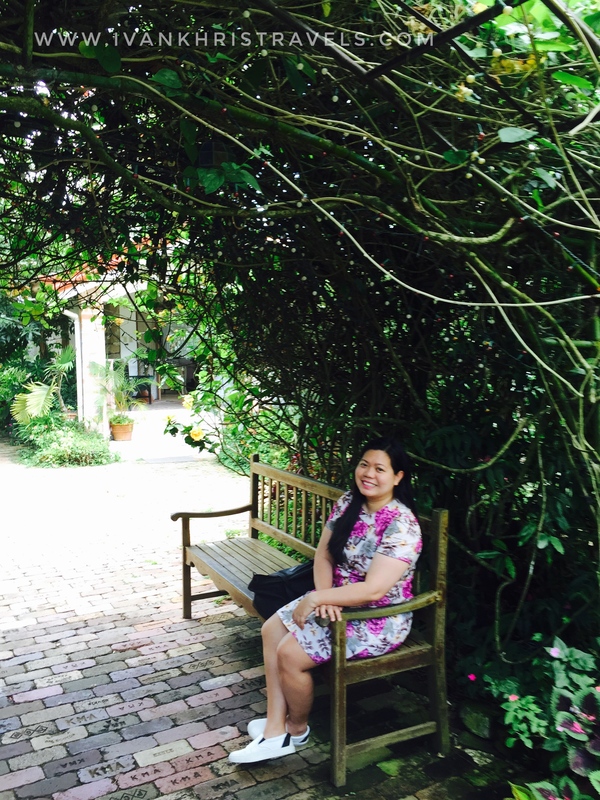 Aside from these, Sonya's Garden is also a popular wedding venue. Reception usually follows at the spacious Sunflower venue. Guests who would like to stay overnight are welcome to stay at Sonya's Bed and Breakfast where they may enjoy the art of doing nothing. The cottages are devoid of air-conditioners and TV sets for guests to fully enjoy nature's splendor. There is also a spa for guests who would like a relaxing massage or wellness treatment. If you are coming from Manila, drive straight to Tagaytay-Nasugbu road. Then turn right to Buck Estate road. Sonya's Garden is at the left of the road. 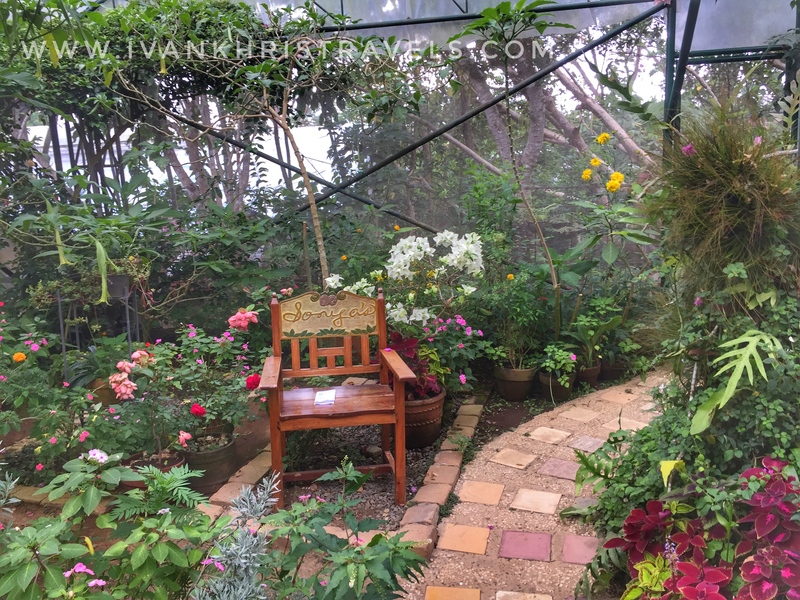 The next time you are in Tagaytay, pay Sonya's Garden a visit and be relaxed as you marvel at astonishing, colorful blooms around you. What a lovely place to get lost. I didn't know about this place and since I haven't been to Tagaytay, I'll surely include this on my bucket list to see when I get the chance to visit Tagaytay. Thank you so much for sharing this with us. Yup, it sure was a lovely place. 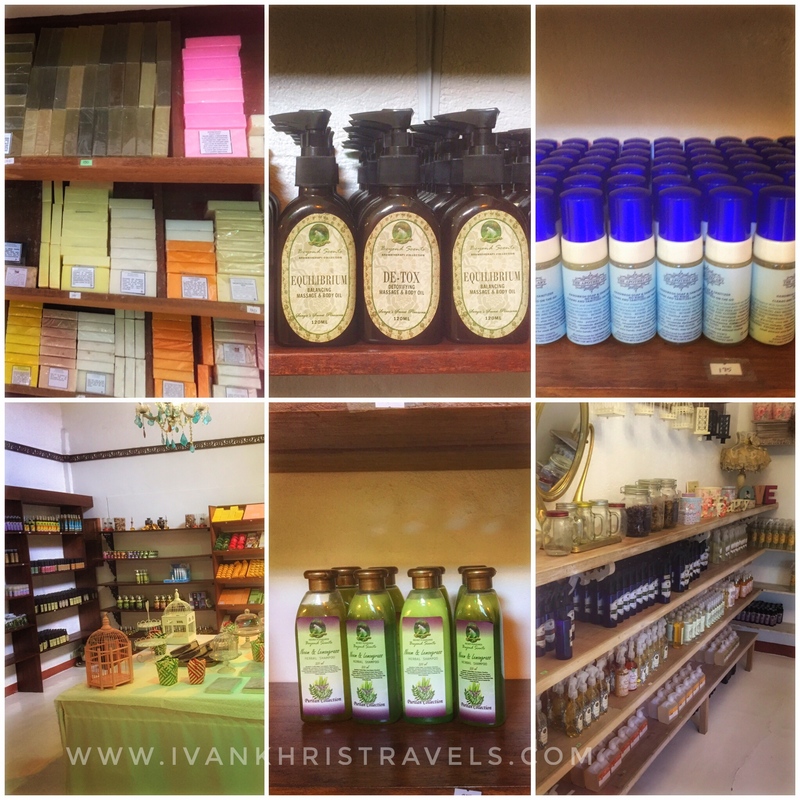 I'm sure you'll enjoy the rest of Tagaytay, too, when you get the chance to visit. Thank you for dropping by!